MayDay Rooms (88 Fleet Street, London EC4Y 1DH). professionals to support communities fighting for a liveable city. and regeneration documents, easily accessible and searchable online. community led design proposals in close cooperation with residents. as well as relevant documents and whether they are publicly available. visualisations and make them available for use. 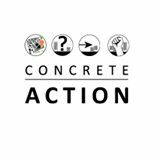 Please RSVP concreteaction@riseup.net or on the Facebook event. Feel free to distribute this invitation to your networks.